The grease-filled pan waited on my kitchen counter all morning. He made baby back ribs the night before and the sink was full of pots and knives, the barbecue brush, a spatula, and a large cookie sheet of dark brown congealed fat and sauce. We walked right past it this morning on the way to get my car serviced. Now he’s out somewhere. When he gets home, I’ll tell him to put foil or the silicon pad on the cookie sheet next time for easy cleanup. That’s what I would have done. Back when he worked full time and I did the cooking, I learned the best way to do these things. Now he’s a retired scientist turned sculptor and I teach memoir classes and write part-time. We’re on the same footing in this household now and, to my surprise, he loves to cook. I grabbed a sponge and washed the pots and pans and the knives and the brush. All done but the cookie sheet. 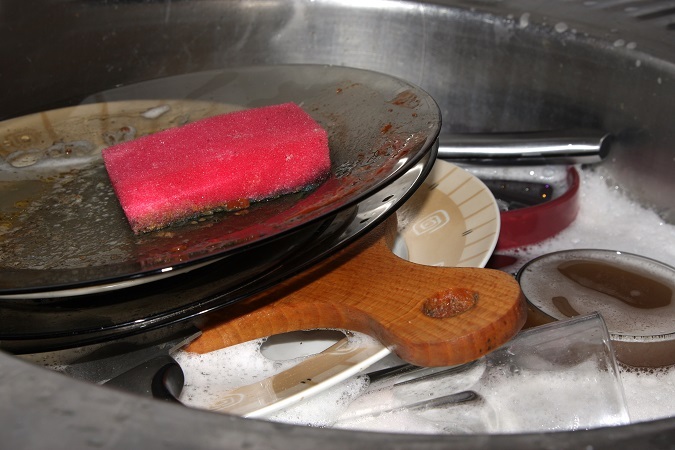 With the dirty spatula, I pushed the lumps of fat into the trash can under the sink. I soaped the pan and reached for the steel wool in its dish. The wool pad disintegrated as I began to scrub. I found another in the yellow box under the sink and all the while, I thought about last night on the deck. The air was mild, the moon a bright crescent in the dark sky above the outlines of trees. Like many other nights and also unique in itself. We two made a promise one September day to share our lives, for better or worse. Then came sickness and health, a baby boy, surgery, vacations, graduations, cancelled plans, weddings, our parents’ funerals, two dogs, three cats, reunions, Paris and Prague. Today was another in a chain of days becoming years as we grew old together. If I was lucky. I forgot what I was going to say about dirty pans. Here he comes with an armload of groceries. I wonder what’s for lunch. Linda C. Wisniewski shares an empty nest with her retired scientist husband in Bucks County, PA. Her memoir, Off Kilter, was published by Pearlsong Press. 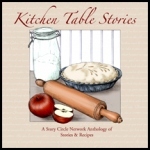 Linda has been a member of Story Circle Network for many years. She blogs at www.lindawis.com.